Ian Bandeen is a financial consultant specializing in capital markets. A Founding Director in 2002 of the National Angel Capital Organization (NACO), Ian is currently Chairman Emeritus having spent the last six years as first Vice-Chairman Finance and then as Chairman. He is also Chairman of Wantfolio Group Inc. In 2001, Ian was the co-founding Chairman of CNSX Markets Inc., operator of both the Canadian Securities Exchange (CSE) as well as Pure Trading, and served as their CEO from 2005 until July 1, 2011. Prior to that, Ian co-founded the Canadian Mortgage-Backed and Asset-Backed Securities markets in 1986 and 1990 respectively. 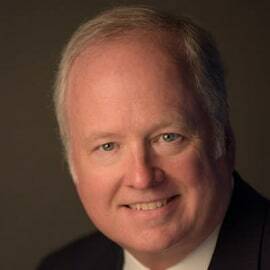 He retired in November 1999 from his role as Managing Director & Global Head of Securitization and Structured Finance at BMO Nesbitt Burns Inc.
From 1996 to 2005 Ian was a Director at the Robarts Research Institute where he served as Chairman of their Business Development Committee and as such oversaw their various commercialization initiatives. He served as a Director of the Toronto International Film Festival Group from 2001 to 2013 and sat on their Finance Committee. Ian completed an Honours BA (Economics) from Queen’s University, an L.L.B. and B.C.L. from McGill University, was admitted to the Ontario Bar in 1987 and remains a member in good standing of the Law Society of Upper Canada.